David Archuleta has released a new music video from his OPM album, Forevermore. 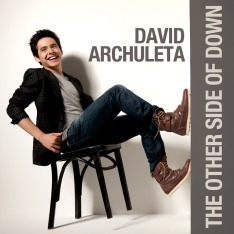 It’s available at major music stores in the Philippines, and at MyMusicStore.com.ph for digital download. David himself may be far away in Chile, but his fans will always have him close in our hearts. And this beautiful love song says it all—David will never really go and his fans won’t either! Speaking of David Archuleta fans, MasterClassLady is not only a super fan, but someone who knows a great voice when she hears it. She has written a wonderful review of David’s “sensitive performance” of “I’ll Never Go” on her blog. Lee Hernandez has a nice write-up about David’s new music video on the Huffington Post. And now—drumroll, please—enjoy the beautiful pipes of David Archuleta! The voice of course is exquisite….but now my heart is sad. David looked sad too. This is gonna be a long time to wait. A couple of my grand kids will be walking by the time David comes home. And another will be born. reality. I know.. I get it David. It’s just easier when you are in our bioshpere. Believe this or not I included you in my morning prayers today along with the rest of my family. You are loved. Hey Kathy, thanks for your comment. I agree, it will be a long wait. But don’t forget, in August we’ll get a full album of new songs from David. I can’t wait to hear his voice on the cover songs he has chosen. Songs like “Bridge Over Troubled Water”, “Everybody Hurts”, and “Beautiful”. It IS going to be a beautiful summer!